With having an awesome July, we then moved onto the month of August with a strong start. The weather improved from June/July, so great diving conditions and also a few new staff to help cater for the incoming high season, all making for good reason to come and join the sub culture. 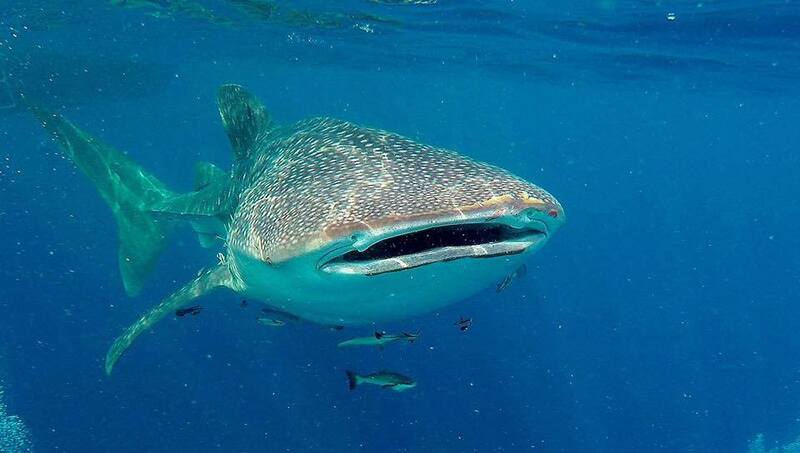 We have been lucky enough to have a couple of Whale Shark sightings in the last month of diving, making diver’s day and an awesome end to some student’s courses. We really hope that the month of August will bring more sightings for our awesome customers. We had one of the best trips ever (if not the best) to Sail Rock on the last Sunday of August. Not only 30-40m vis and a mass abundance of marine life, we were lucky enough to have, not 1, not 2, but 3! Whales sharks swimming inquisitively around the Roctopus divers making the trip one to never forget for all. 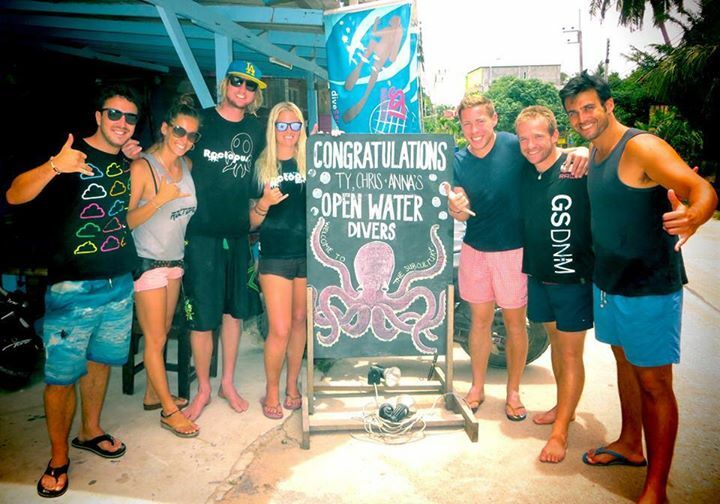 We have had a bunch of fantastic divemasters get certified at the end of July, with a great night at Banyan bar for their snorkel test, we had not had one at Banyan for some time and with not only celebrating the new divemasters but also Chris’s (Manager of Rocto Pro) birthday it was a great to be back there with all the crew and customers of Roctopus. 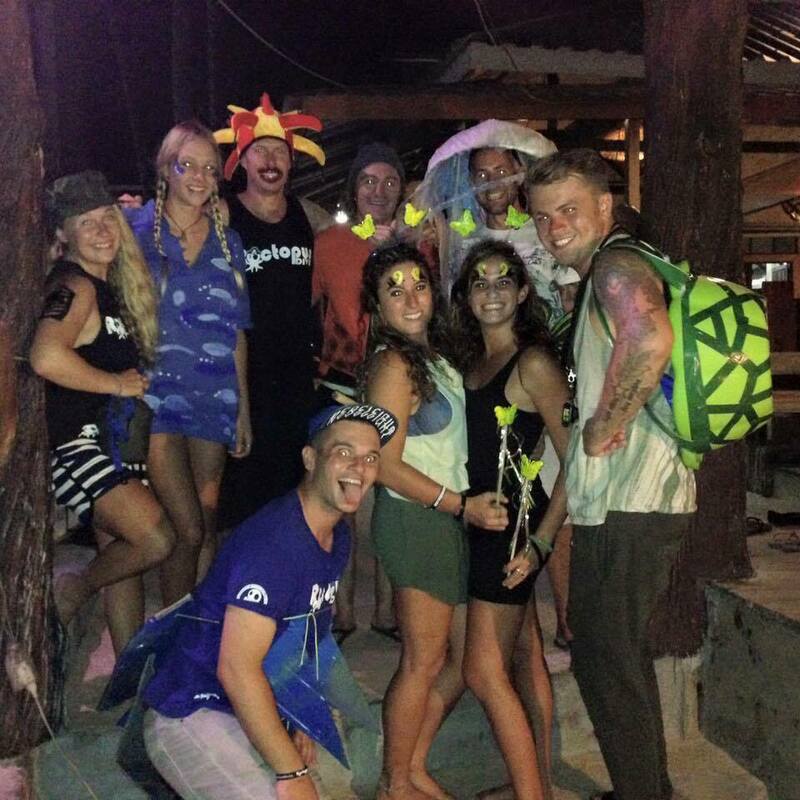 This August we have also had more divemasters signed off and a great celebration, this time at Victors Bar. It was a great night with another good roasting session by IT Pete, followed by some good challenges and of course the snorkel test. A massive congratulations to all the candidates finishing, you have all been a assist to the team and wish you all the best with your diving careers and we look forward to those returning to conduct your instructor program. In the month of August we have also had the owners of RAID visit, we are very excited with some of the changes and new program structures that will be implemented. We had nice evening award presentation and dinner at Victors bar and Wind Beach Resort restaurant to celebrate some of the instructors. 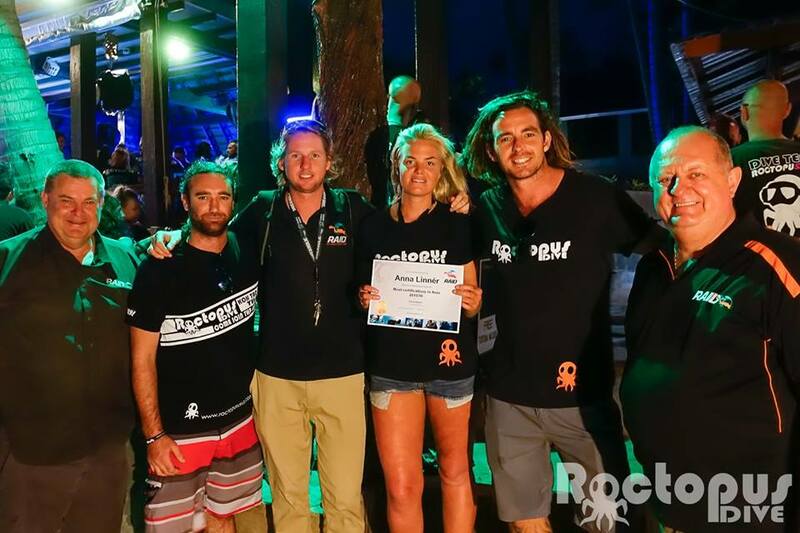 Big congratulations to the instructors that received awards, especially Anna for the most amounts of certifications with RAID certifications in the region. 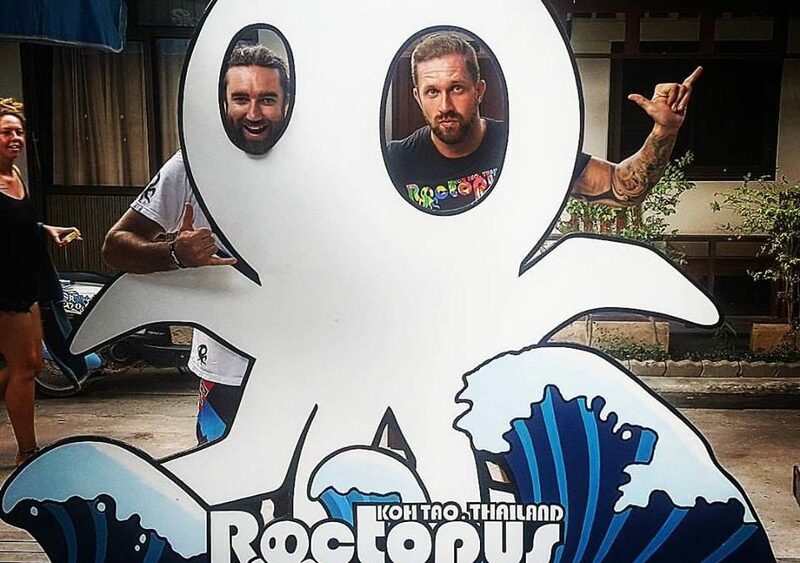 Roctopus Freediving id now in full swing! 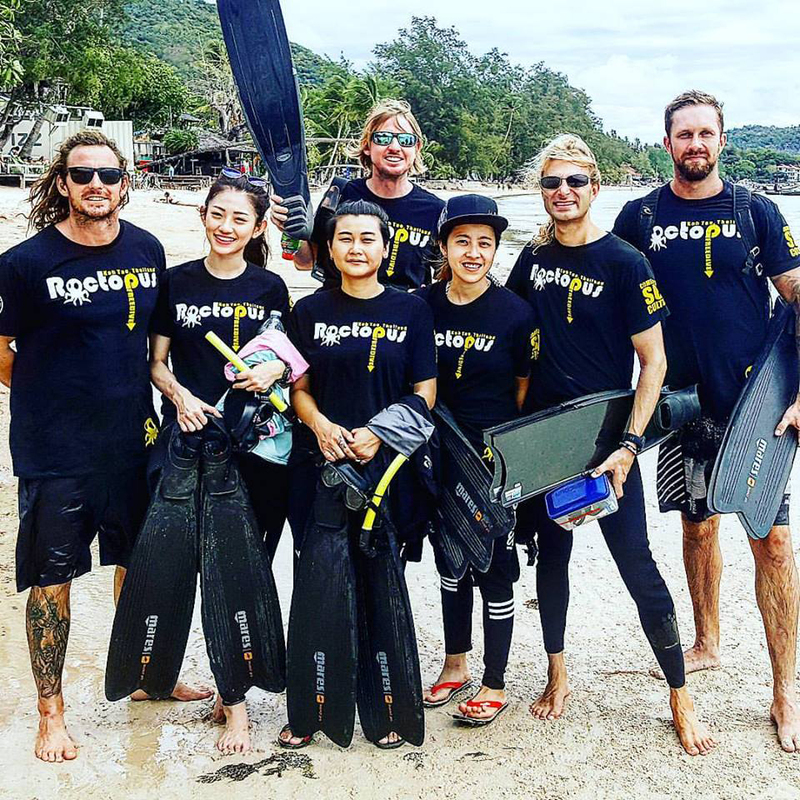 Haiko from Germany and Rani from Australia, are now available to teach try free dive lessons, level 1 and level 2 courses, as well as the fun free dives off our own dedicated free dive speed boat, we also have a great classroom setup up purely just for the freediving courses. We are very excited about the freediving and already have many customers signing up and loving the programs. Last but not least, we are also ecstatic about our brand new diving pool, one of the best pool facilities for diver training on the island. The pool has plenty of room, with 2 shallow ends and deep section in the middle. This new edition to our facilities will mean that we can train all confined sections for all courses with ease and flexibility.